Are you coffee or tea fan? From the set of 6 Carla cups by Bloomingville both tastes great. The patterned cups will add some color to the coffee table. 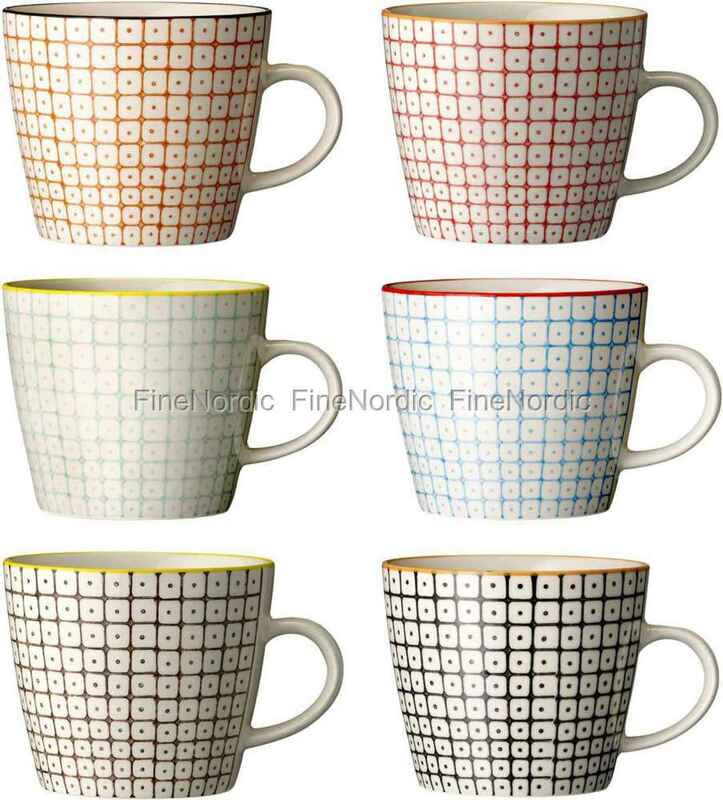 The six cups are all of the same design, but each cup is in a different color. The pattern, which is often repeated on the cup, is reminiscent of the side of a die that you see when you have rolled a one. The cups have a capacity of 250 ml and after use, they can be cleaned in the dishwasher. Thanks to their handle, they are easy to carry from A to B and can be nicely combined with the other tableware items from the Bloomingville Carla series.